The Canadian Council for Refugees, Amnesty International Canada and Amnistie Internationale are embarking on a pan-Canadian public awareness campaign to make Canada more welcoming. Interested in highlighting the faces, experiences and voices of former refugees? 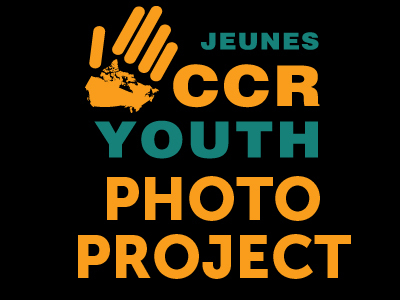 Get involved in the CCR Youth Network’s photo and interview campaign. For more information, click here. Visit this page often for regular updates with resources, events and announcements on the Refugees Welcome Here campaign. Refugees Welcome Here! : An initiative of Amnesty International, the Canadian Council for Refugees and Amnistie international. In January 2016, the three partners embarked on a public awareness campaign to encourage Canada to welcome more refugees, to achieve more fairness in systems affecting refugees, to foster more welcoming communities across Canada, to rebut myths about refugees and to emphasize the contributions of refugees. CCR and AI members, allies, youth and others across Canada are invited to participate, mobilize their communities, build on the leadership shown by many across Canada and amplify this ongoing campaign. The purpose of the Refugee Welcome Here! Toolkit is to provide information about refugees in a Canadian context. It will be helpful to three types of people – those who are: knowledgeable about refugees and new to activism; experienced activists eager to learn about refugees; and, those who are new to refugee sponsorship and looking to deepen their knowledge about refugee protection. Including: Advocacy, digital activism, myth busting, and more!